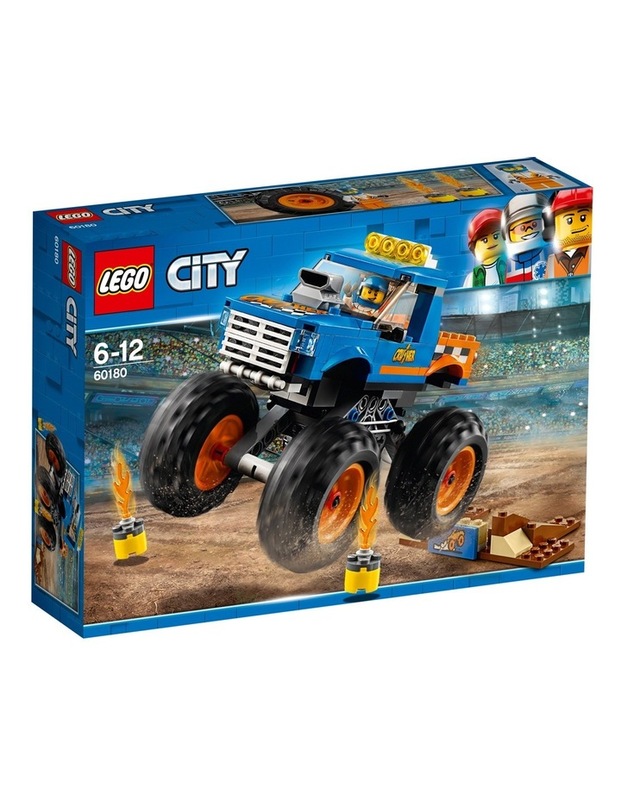 Includes a monster truck driver minifigure. 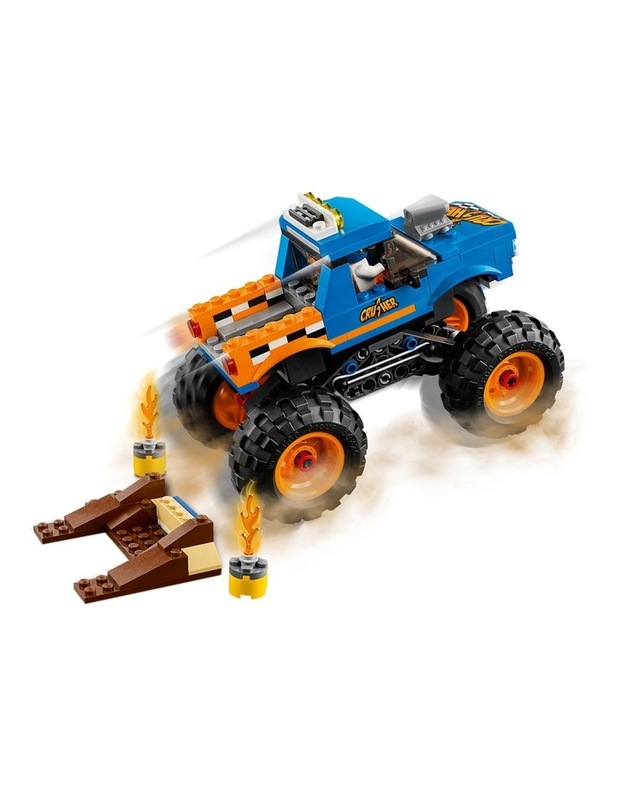 Features a colorful monster truck with massive wheels, air scoop on the hood and working suspension, plus a buildable ramp. Launch the monster truck off the ramp to jump over the flaming fire barrels. Includes 2 buildable fire containers with flame elements. This children's toy is suitable for ages 6-12. 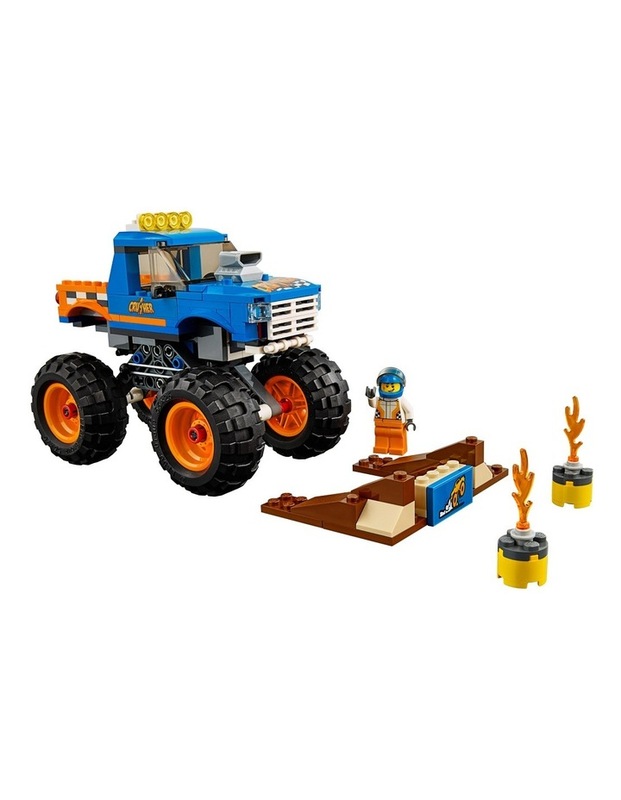 Monster truck measures over 4 (12cm) high, 5 (14cm) long and 3 (9cm) wide. Ramp measures over 3 (9cm) wide, 2 (6cm) deep and under 1 (2cm) high.